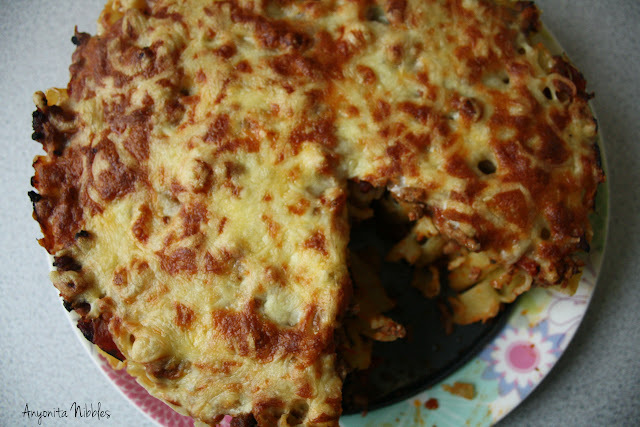 I’m Anyonita and I blog over on Anyonita Nibbles! 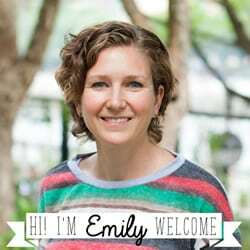 I’m very pleased to be here, sharing a new favorite on Emily’s amazing blog. Thank you so much for having me, Emily! Let’s get to that delicious-looking recipe, yeah? Begin by warming the olive oil in a skillet. Add the mince, onion, garlic, herbs and cayenne pepper and cook until fragrant and the mince is browned. Add the tomatoes, sugar and tomato paste and simmer for about 15 minutes. Preheat your oven to 200C/400F. Meanwhile, cook the pasta according to the instructions on the packet, but undercooking it slightly. (According to my packet, the pasta needed 12 minutes. I boiled it for 9.) Strain and allow to cool enough to handle the pasta. 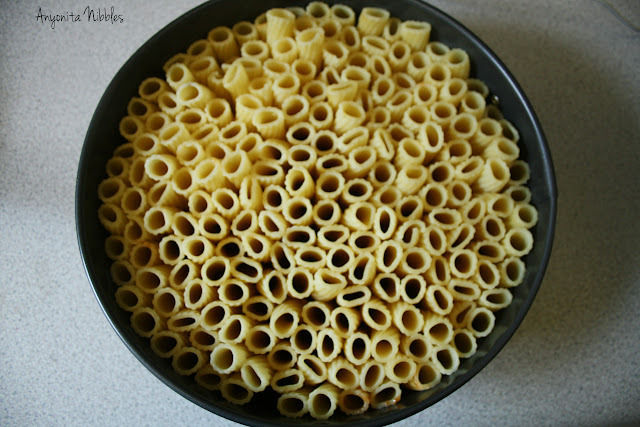 While the pasta is cooking lightly grease the sides of a 9-inch springform tin. Spread a thin layer of the tomato sauce on the bottom. Stand the pasta upright with one end on the tomato sauce layer. Tightly pack in each noodle. Spread over half of the remaining sauce, allowing some to fall inside the rigatoni. Sprinkle on a layer of cheese, covering the sauce. Spread the remaining sauce on top, followed by some more cheese. Bake until the cheese is golden brown and bubbly, about 20 minutes. Allow to stand two minutes before releasing the tin from the base. If you carry the pie to the table before slicing, it makes for quite an interesting centerpiece. 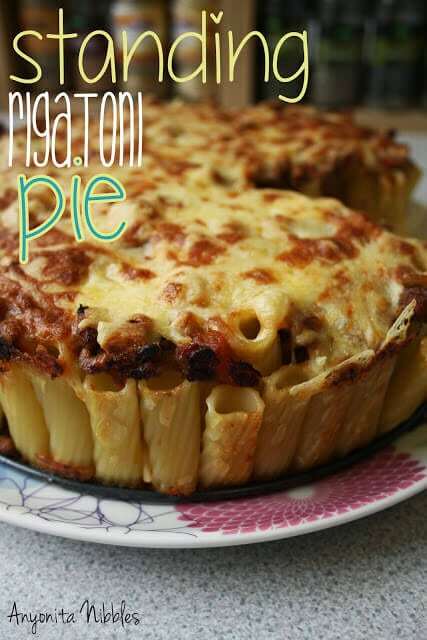 Beware: as soon as you start to slice into the pie, the rigatoni starts to fall, so take your photos before you slice! I serve this with some green veggies, a light salad and garlic bread and it got the seal of approval from both my husband and my toddler, who enjoyed munching on the pasta tubes, with one in each hand! I’ve been wanting to make a Rigatoni Pie too! Yours looks fabulous, and so delicious! Thank you, Kim! Please do try it; you’ll love it! That looks amazing! I’ve never seen anything like it before. It looks like it would be hard or require a lot of patience. Impressive.